Hopefully everyone understands the value of getting stronger. Athlete or non athlete, weight loss or weight gain. Distance runners or sprinters. Our training goals may vary, but I can’t really think of any that would involve getting weaker. The standard by which we use to measure whether or not we’re becoming stronger lies in our numbers. 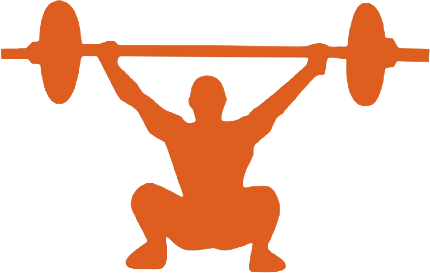 The weight on the bar, the reps performed of a particular exercise. These all tell us whether our efforts being put forth are producing results or are being put to waste. Sometimes we get stuck. Although it might sound elementary, when things aren’t going as planned it would seem logical to figure out why, and then to adjust. I can remember back in my Quabbin HighSchool Football glory days… when my phys ed teacher asked one of my teammates why he refused to run the mile that day. His response was that he was saving himself for the Friday night game which would take place later that night. The teacher then asked what the team’s record was. (anyone familiar with quabbin football history can insert their laugh here). If we had won any games by that point you probably could count them on one finger. The teacher then went on to clarify that if what we currently are doing isn’t working, it might be wise to try something else. Unfortunately often times when we find ourselves stuck, we dig our heels in deeper and continue to do exactly what we’re currently doing. Maybe even with greater intensity. My bench press is stuck so instead of 5×5 i’ll increase to 10×5. Everyday. Or I’m not losing weight so I’m going to cut two meals and replace them with one egg… and a leaf. I see things like this all the time in my own facility! Shame on me. I’m not a huge fan of writing, but I see the opportunity it provides me with to educate members (and maybe some non-members). So I hope you will find value in this particular post, and the ones to come! So without further ado, here are 5 random reasons I’ve witnessed within OUR OWN facility that will hold you back from getting stronger. #1 Your rest is too short: Despite the fact that your lungs aren’t gasping for oxygen and you’re not dripping orange gatorade from your skin you still need to rest between sets. One minute (still on the low end) can feel like a lifetime for some people. But if you’re trying to get stronger, you have to build in longer recovery periods between your “working” sets (you can move a little faster through warm up sets). We’re talking one minute minimum, but preferably 2-3 minutes. (generally, the lower the reps the longer the rest). The longer rest periods will give you the energy you need to lift heavier weights, resulting in greater strength gains. #2 Inconsistency: I searched for a legitimate figure but I couldn’t find one. However experience has made it very clear that you lose progress substantially faster than you gain it. So if you take 10 days off (we’re not talking unload periods built into your program intentionally) you can probably expect it to take 2-3 weeks to pick up from where you left off. Don’t quote me on those figures. Just know you lose it faster then you gain it. Now take the person who comes in 4 days one week, takes 6 days off, trains 2 days, takes another 5 days, trains 1 day, takes 5 days off. There simply is not enough consistency to ever make any progress. Any progress potentially made is lost by the end of the week. That individual essentially is training enough to make themselves sore for the next few days but is never putting in enough time to reap any of the benefits. #3 You don’t eat: You need to eat to build muscle. Eat clean and eat natural. Meat, nuts, fruit, vegetables, eggs etc. Eat three meals a day plus snacks in between. That should also include a protein recovery shake. (I highly recommend Rootz nutrition which is what our facility carries, but there is plenty of good stuff out there). If you’re trying to gain weight, step on the scale once a week. If the number isn’t up then eat more food. Stay away from grain, sugar, milk (unless raw or goat), and soy. I advocate a Paleo diet because I’ve witnessed the benefits personally and amongst many others we’ve trained. By no means am I a nutritionist, but for most nutrition doesn’t need to be as complicated as we make it. There are a million ways to eat and if what you do works then there is no need to fix it. But if it’s not working it would seem logical to adjust (read above). Generally I find all people who are skinny and trying to gain muscle don’t eat enough, or they fill themselves up with junk like poptarts, muffins, and donuts. People trying to lose fat usually just eat too much of the wrong foods, not necessarily too much in general. I’ve met a lot of people who will restrict and restrict and restrict calories without putting much thought into what those calories look like. After several weeks with no progress they often call it quits entirely. I’ve found something to be true after lots of trying otherwise. You cannot convince your body to act differently than its designed to do. It it takes XYZ to reach a certain goal, you can’t say “Fine I’ll do X and Y but I’m not gunna do Z! (maybe giving up drinking a case of beer every weekend in order to drop the next 10 pounds). Your body isn’t going to change the way it operates and meet you half way because you really want it to, unless it’s in the form of half results. Something has to give, either the behavior or your expectations! ,#4 You don’t sleep: Get 8 hours of sleep. Look up “benefits of sleep” to see why. The list goes way beyond just allowing your muscles to recover. Turn the screens off 30 minutes before bedtime. Keep the room dark. There are tons of teas, or essential oils to help with this if you’re bad at sleeping. My fiancé purchased a young living oil diffuser for me recently. You mix drops of oils in with water and vapor comes out. I usually only remember turning it on and lying down before waking up the next morning. One day I turned it on and watched my maniac chocolate lab go from Tasmanian devil to sleep coma in 1 seconds time. He literally flopped over on his side as if shot by a tranquilizer. Find a way. #5 You’re cheating your range of motion: Go all the way down when you squat, touch the chest when you bench press, arms straight to chin over the bar on pull ups. Unfortunately I see this way too much! Partial range of motion allows you to lift heavier weight (that you can’t handle as demonstrated by the inability to perform full ranges of motion) but it will seriously cheat your progress if it doesn’t earn you an injury first. Lower the weight if needed but reap the full benefits of your exercises by executing them correctly. There is a reason why we tell you to go lower and it’s not to annoy you. You’ve made the effort to come to the gym and put in the work, why let something little like a slight increase in range of motion negate that? There it is. 5 reasons in no order why strength progress might be at a standstill. I hope this helps!